Brumley Branches - Reuben Nichols Letter was written to my mother Nancy Gertrude Brumley Weik on July 26, 1990, by James R Glacking of Libertyville, Lake, Illinois. She had sent a query out for information on my 3rd great-grandfather Reuben Nichols. This is the letter he wrote back to her. 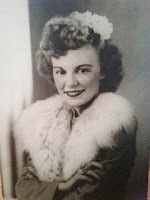 My grandmother was a Mitts. Her father, John Estill Mitts, and your great-great-grandfather, Reuben Nichols, were "double cousins". 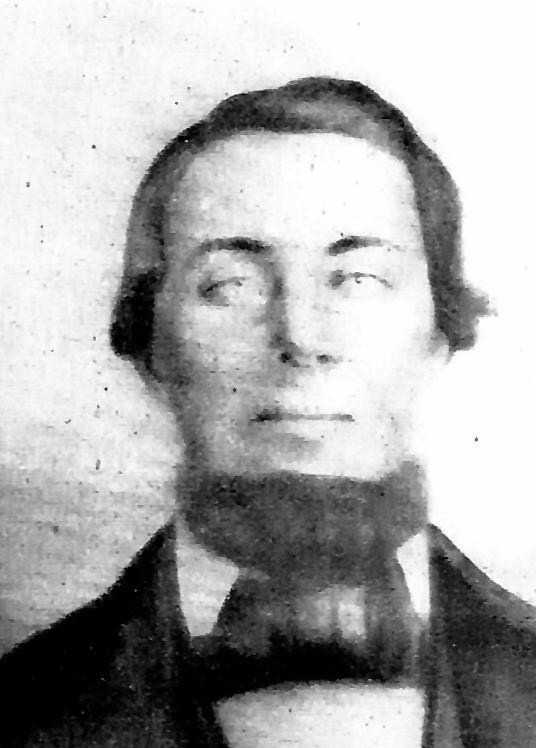 John's father, Adam Mitts, and Reuben's mother, Margaret Nichols, were brother and sister. Reuben's father, Simon Nichols, and John's mother Jane Mitts were brother and sister. How is that to start confusing relationships? Reuben Nichols married Nancy Skirvin in Gallatin County, Kentucky. Reuben farmed in Grant County, Kentucky. The Family Bible records that while they lived in Grant County, four children were born; Simon, your great-grandfather, on December 14, 1827, James Harvey on October 18, 1829, Mary Jane (Mrs. Samuel Fretwell) on December 3, 1831, and John Clayton on April 14, 1834. In 1834 or 1835 the family followed relatives and friends to Adams County, Illinois. There four more children were born; William Henry on October 12, 1836, George Thomas on January 28, 1839, Francis Marion on January 9, 1841, and Rebecca Margaret, (Mrs. John Fretwell), on June 18, 1843. Another move was in order, in 1844 or 1845 the family moved to Clark County, Missouri. The three youngest children were born there; Louisa Susan, who never married, on February 28, 1846, Nancy Ann, (Mrs. Absalom W Mitts) on March 4, 1849, and Sarah Elizabeth, (Mrs. James Lay), on March 17, 1851. Simon Nichols, your great-grandfather, married twice. On July 9, 1853, he married Mary Frances Noel. They had at least five children; William R, John, Mary (Mrs. William Barnes), Elvira, (Mrs. John Hume), and Emma, (Mrs. Allen Stanforth. I would check the 1870 Clark County census to see if another child is listed. After his first wife's death, he married January 26, 1873, Sarah Francis Douglas. By 1880 they had four daughters; Lorena, Lilly, Gertrude (your grandmother), and Sarah. I would check the Clark County marriage records to see if the marriages of your great aunts are recorded there. An abstract of the property transferred to Simon's sister, Nancy Mitts, lists two other children of Simon; Robert Lee and Leonard Sanford. I'd check the Clark and Lewis County, Missouri, 1900 Census to see if you can find them. If Sarah's children, they may still be in her household. You may also discover if Sarah married again. These may be a Soundex index to the 1900 Census. Use it to see if you can locate the two brothers. I hope this helps. Let me know if you have further questions.